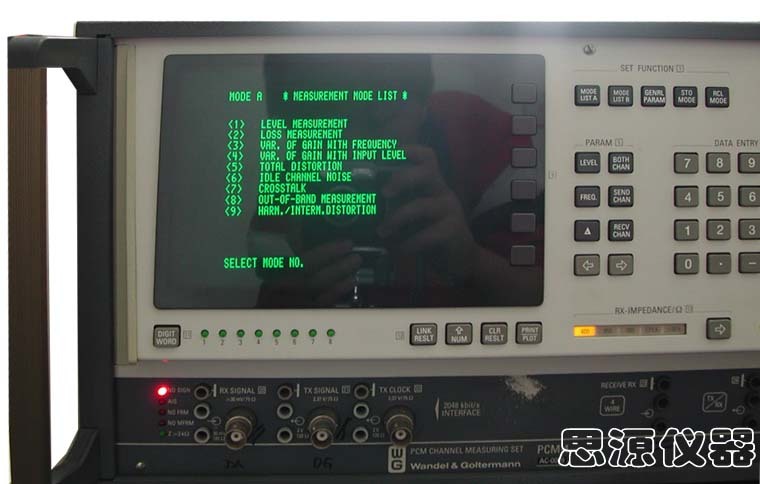 Acts as a system controller for MU-30 test point scanner, suitable ASCII printer or graphics plotter (hp-GL) connected via IEC 625 / IEEE 488 bus. Receiver input see"analog generator output"
Injection of a digital signal in one of the telphone channels 1 to 30(or 31,32)or in all telephone channels,or in all telphone channels except the selected channel. Injection of a digital signal in one of the telephone channels 1 to 24,or in all telephone channels,or in all telephone channels except the selected channel. 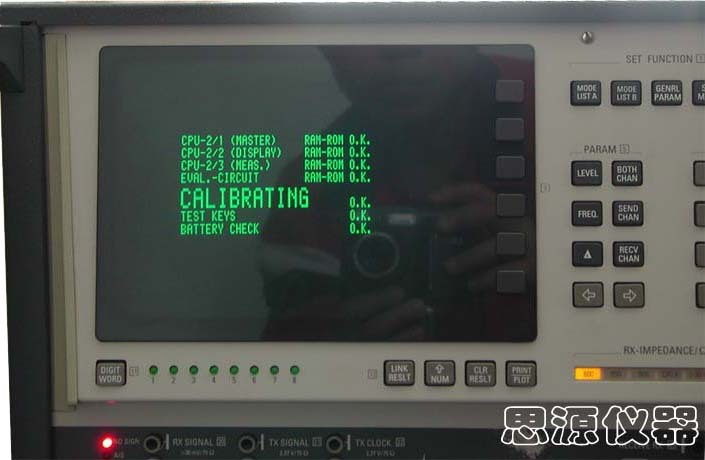 PCM frame struture see "digital signal generator"
Interface characteristics comply with ITU-T Rec.G.703 and North American standards. A code word from one telephone channel 1 to 30(or 31,32)canbe evaluated. Receive filters see"Analog receive "
on telephone channels(64 kbit/s).Shown as a histogram with the X axis representing measuring perides or channels. Bit pattern: see"digital signal generagor send signals"
D.C.Decouplingfor analog inputs and outputs,PCMZ-4 for use with BN 984/01,BN 984/51,BN 984/03and BN 984/53 only.